The Super Bowl is coming and I am still going to be doing the Whole 30! Instead of being bothered by it, I decided to experiment with some slightly healthier chicken wings for game day. These are made paleo and Whole 30 compliant if you 1) make your own Sriracha sauce or 2) buy this brand of Sriracha that doesn’t contain sugar. If you are not doing a Whole 30 and don’t care about the sugar in the Sriracha sauce, use the real deal. 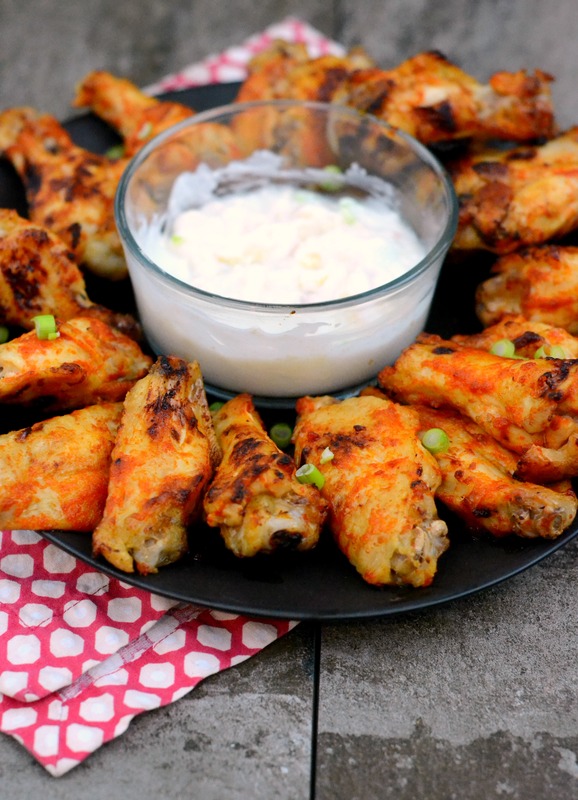 These wings are baked (not fried) making them even better for you. Don’t be fooled though–these do not taste like health food. 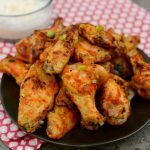 These are all american chicken wings—that will go great with beer or La Croix (that’s what I’ll be drinking). 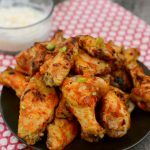 These take about 35 minutes from start to finish and you are left with a platter of spicy and flavorful wings. Serve with your favorite dipping sauce or eat them just as they are. So good! 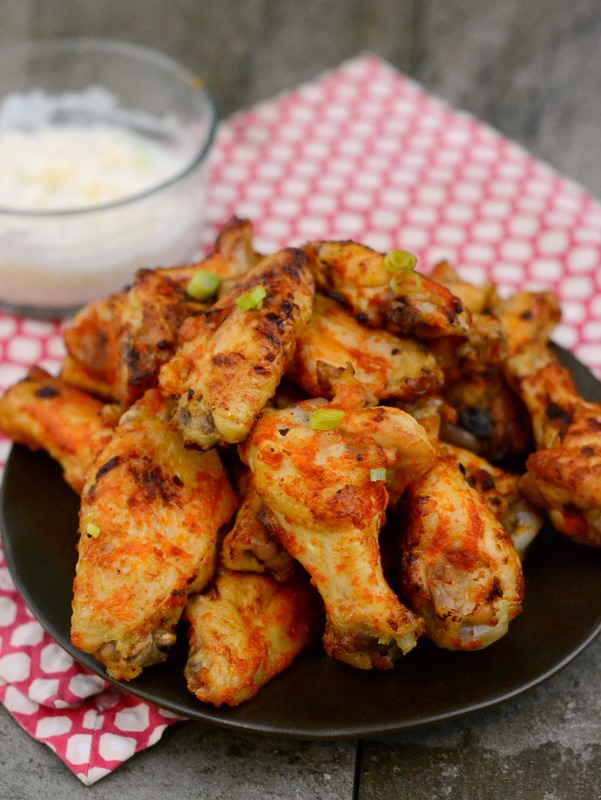 Amazing baked spicy chicken wings made Paleo with just a few tweaks. You will love these. Preheat oven to 425 degrees. 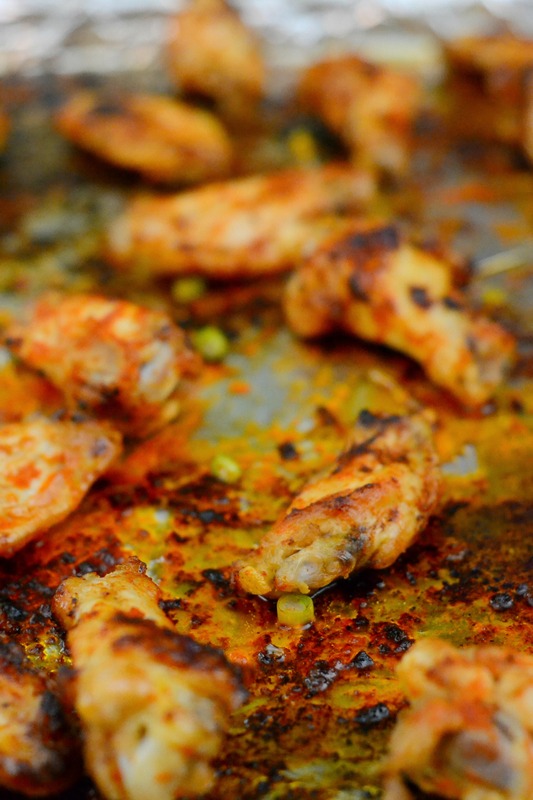 On a foil lined baking sheet, place the chicken wings and season with salt. Bake for 20 minutes, flip and then bake them for another 10 minutes. 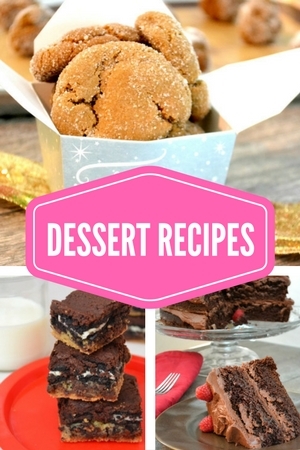 While they are baking, mix up the sauce by combining all ingredients and whisking together. Change oven setting to broil. Smother each wing with the sauce and broil for 3-4 minutes. Flip each wing and re-smother them with sauce. Broil for another 2-3 minutes.